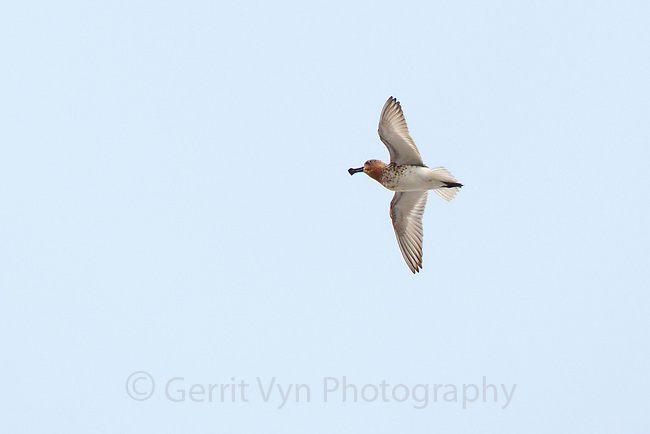 Adult male Spoon-billed Sandpiper in display flight. Paired males perform display flights early in the breeding season to announce their territory to neighbors. Unpaired males like this one continue their flights incessantly into mid summer advertising for a mate. Flights consist of rhythmically repeated calls with alternating flaps and glides. Chukotka, Russia. June.